Increase mobility and flexibility in areas impacted by long periods of sitting so you can live a life filled with movement and activities that bring you joy. Train the fascia with dynamic, rebounding motions and remold it for improved mobility and flexibility, promoting healthier movement. Dramatically increase your range of motion, athleticism, and mobility by conditioning your fascia into supple, reactive bands. Improve your mobility, gain flexibility, and reduce tension and rigidity by engaging in full-fascia stretching along the entire fascial line. 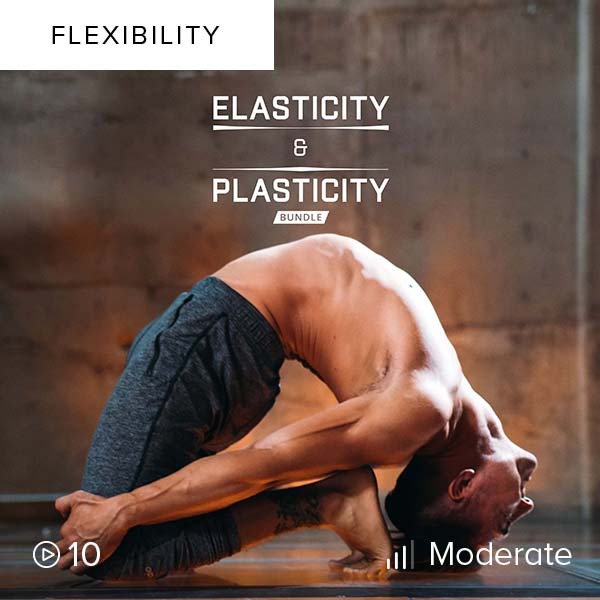 Reduce muscle resistance and increase strength in this flexibility plan that will open up your body through yin- and yang-style stretching, dynamic stretches, and static strength holds.